The Gowanda Central School District is pleased to present a meaningful opportunity for families to share their voice and be heard. 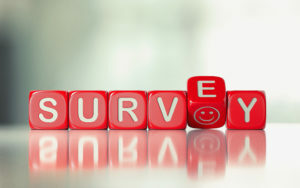 The district is in the process of gathering input via a short online Family Engagement Survey now through Wednesday, May 1, 2019. The information gathered will be used to improve the district’s current practices and plan for the 2019-2020 academic year. The survey is extremely user-friendly and all responses are anonymous. Your perspective matters and I encourage your household to participate in the Family Engagement Survey, which you can link to directly here. Be sure to use the password that is being mailed home in a letter to your household the week of April 8, 2019. A “good” return rate for a Family Engagement Survey is 30% to 40%, but I propose a goal of 100% participation for Gowanda. Our families have consistently proved they are passionate about their children’s education and our community. This survey is an ideal chance for your family’s voice to be heard.